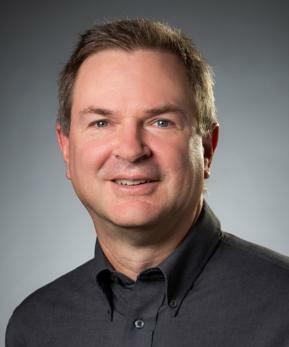 John Stasko earned his PhD in Computer Science from Brown University in 1989 and joined the faculty at Georgia Tech later that year. He is a widely published and internationally recognized researcher in the areas of information visualization and visual analytics, approaching each from a human-computer interaction perspective. His Information Interfaces Research Group develops ways to help people and organizations explore, analyze, and make sense of data in order to solve problems. Stasko has been Papers/Program Co-Chair for the IEEE Information Visualization (InfoVis) and the IEEE Visual Analytics Science and Technology (VAST) Conferences, and has served on numerous journal editorial boards including ACM Transactions on Computer-Human Interaction, IEEE Transactions on Visualization and Computer Graphics, and Information Visualization. In 2013 he was General Chair for the IEEE VIS conference in Atlanta, the primary research meeting for the field of data visualization. He received the IEEE Visualization and Graphics Technical Committee (VGTC) Visualization Technical Achievement Award in 2012, and was named an ACM Distinguished Scientist in 2011, an IEEE Fellow in 2014, and a member of the ACM CHI Academy in 2016. In 2013 he also became an Honorary Professor in the School of Computer Science at the Univ. of St. Andrews in Scotland.